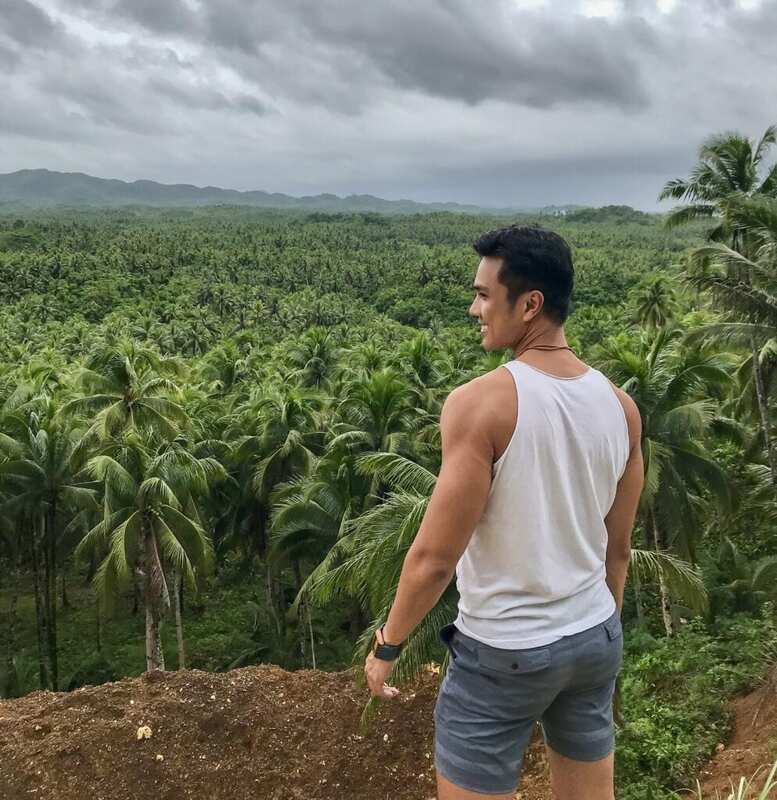 If you are looking for destinations in the Philippines not named Palawan, Boracay, or Cebu – the island of Siargao is something you should definitely consider. Siargao is steadily gaining popularity among local and international travelers for its renowned surfing scene. Surfers or not, more and more travelers are starting to discover the island for its raw beauty, photogenic palm trees that dot the entire island, and a flourishing community of locals and foreigners alike. Siargao is a tear-drop shaped island located in the Mindanao region of the Philippines. Part of the Surigao del Norte province, Siargao is 800 kms southeast of Manila. There are now direct flights from Manila to Siargao. 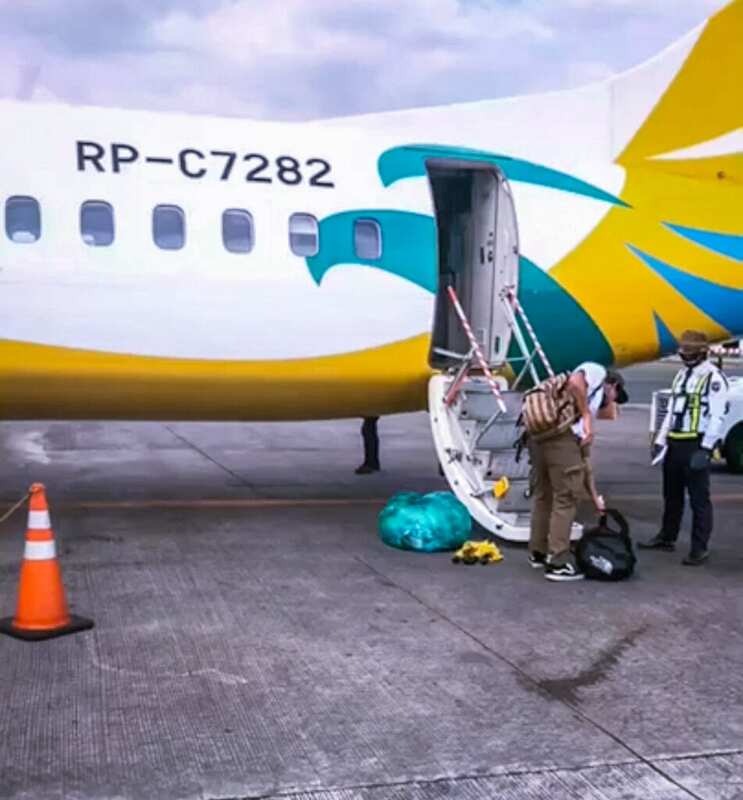 Philippine budget airlines Cebu Pacific and Sky Jet Air recently launched this direct flight – bypassing the previous route of a stop over in Cebu. Once you arrive at the airport, take a shuttle to the main town. The cost is 300 PHP from the airport to the main tourist town, General Luna. If you are in Cebu and want to save a few change, you may reach Siargao from Cebu via Surigao by ferry. The travel time from Cebu to Surigao is about 10 hours (overnight ferry), with an additional 4-hour ferry ride from Surigao to Siargao. The vibe in Siargao can be describe in one word: chill. 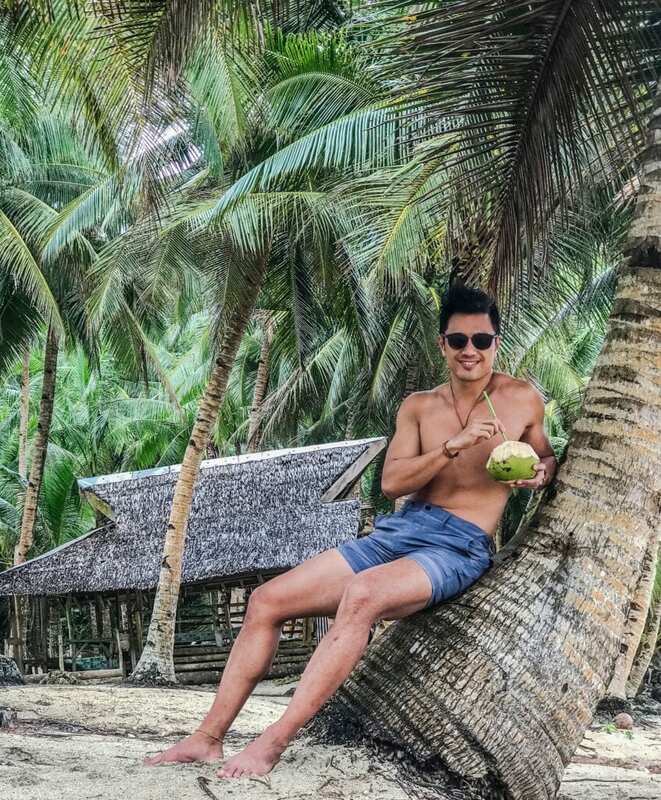 It might be the vibe that comes with being a surf town, but there aren’t many places that I’ve traveled to that is as relaxed and laid-back as Siargao. Whether you see motorcycles passing on the road or people non-chalantly walking down the main road of General Luna, you get the sense that nobody is in a hurry to get to anywhere. Siargao’s Cloud 9 has world-class barreling waves that is frequented by pro surfers from all over the world. 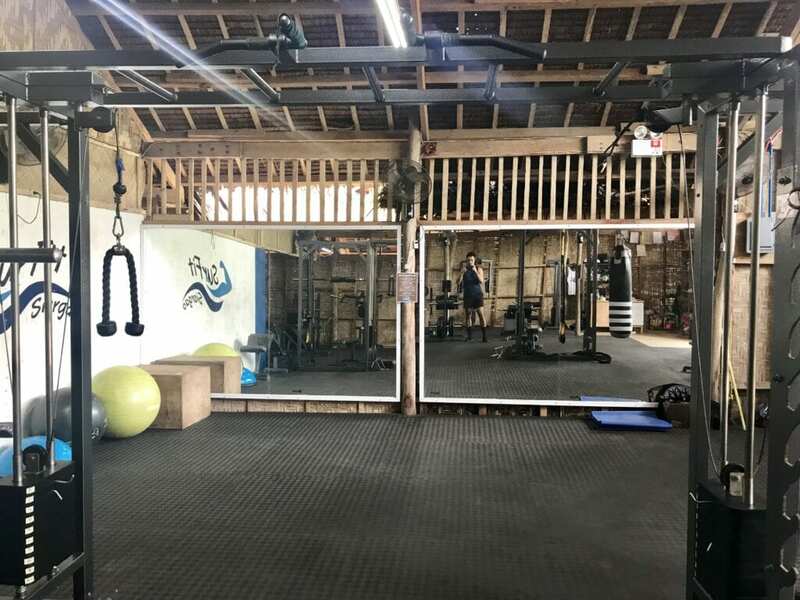 Even if you have never picked up a surfboard in your life, you will find plenty of instructors offering lessons for around 500 PHP on the island. There are plenty of other islands scattered near Siargao, with pristine and cerulean waters that rival those of Palawan. 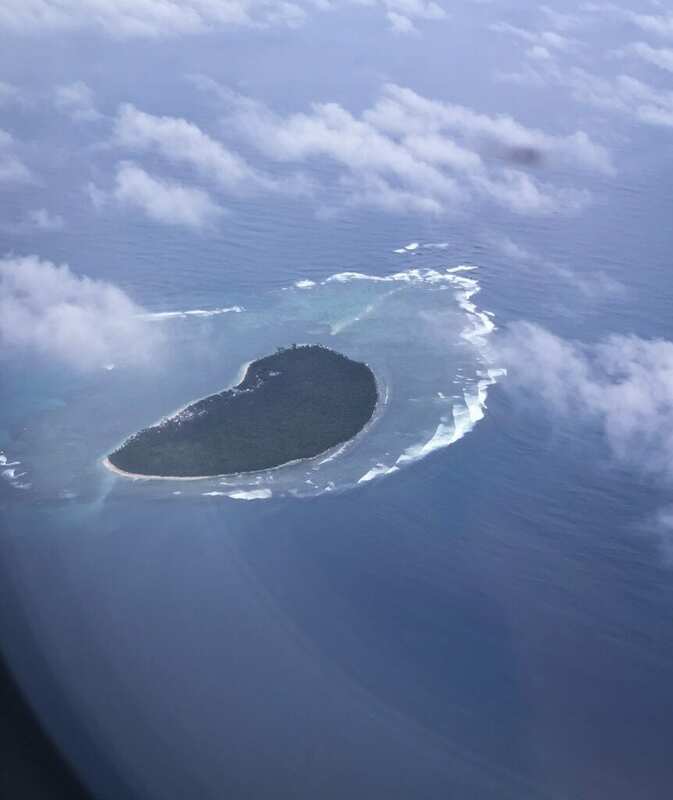 You can find a private boat that can take you neighboring islands such as naked, Daku, and Guyam islands for around 1300 PHP (price per passenger of 4) with lunch included. Located in the northern part of the island in Pilar, the Magpupungko rock pool is one of the more popular sites to visit on the island. Catch it during low tide and take a dip on the refreshing waters! Make sure to make a pit stop at Tayangban Cave Pool on your way to Magpupunko for some incredible diving experience. The adventure starts the moment you arrive on site, where you swim in total darkness for 15 minutes until you finally emerge to the open cave pool and jump from 7 meters high off the cliff. You may rent scooters for normally 300 PHP a day (around 5 or 6 USD). It’s a great way to get around the island as the main roads are all paved and smooth. The drive to Magpupunko Tidal Pool, Tayangban Cave, Pacifico, and the fishing village of Santa Monica is so scenic that it merits the day-long journey in itself. Surfit Siargao is loated on the main road of General Luna. 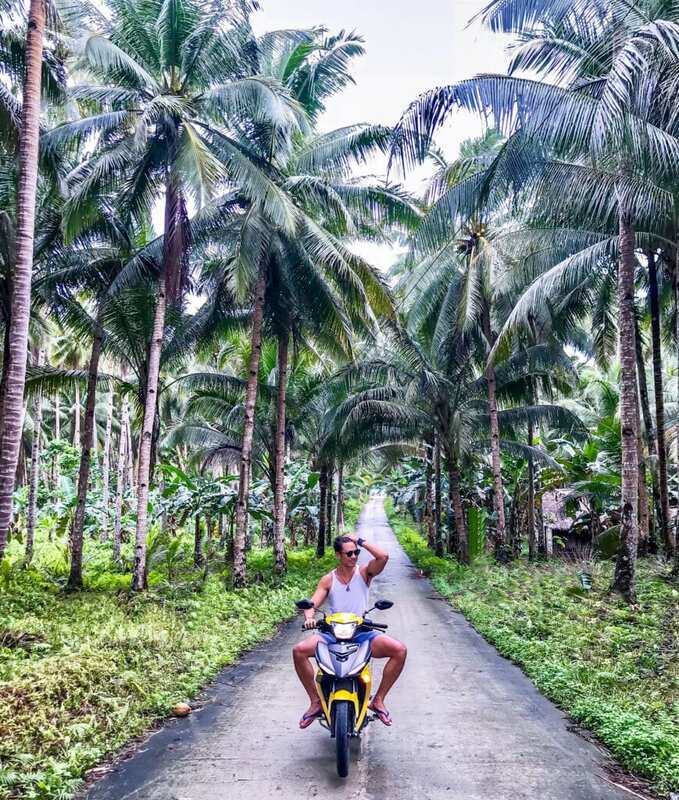 If you are not up for renting a scooter or a motorcycle, you may easily get around the island by getting on a habal-habal, or a tricyle taxi. Each ride cost 20 PHP during the day, but can go up to 50 PHP late in the evening. The island comes alive on the month of September when Siargao hosts their famed international surfing competitions. This period of the month transforms the the calm and relax atmosphere in Siargao into a vibrant and energy-filled island. 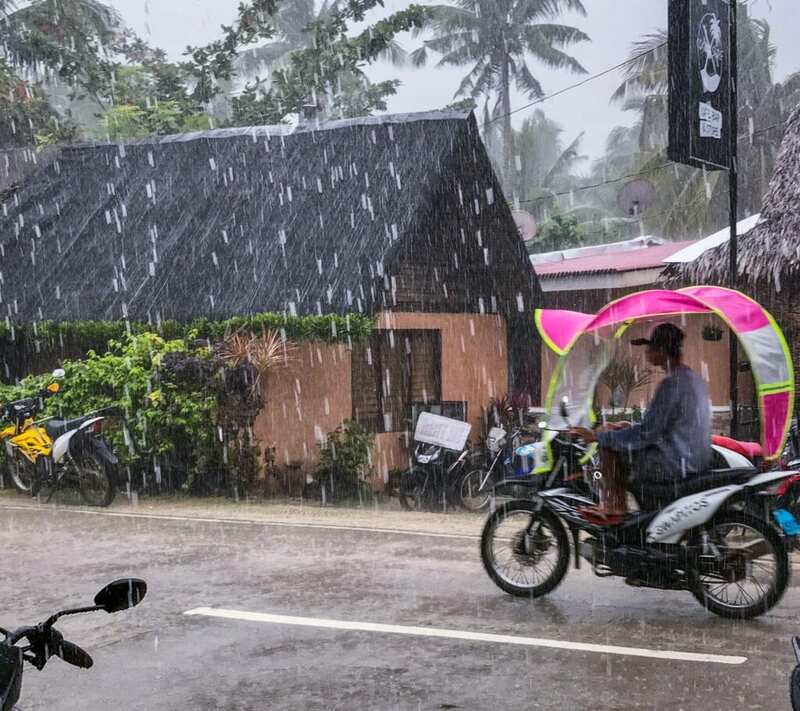 Siargao also has defined wet and dry season. I visited mid-January and it rained pretty much every single day, sometimes all day! The dry season starts in March and goes until November while the peak of the wet season is late November until February. 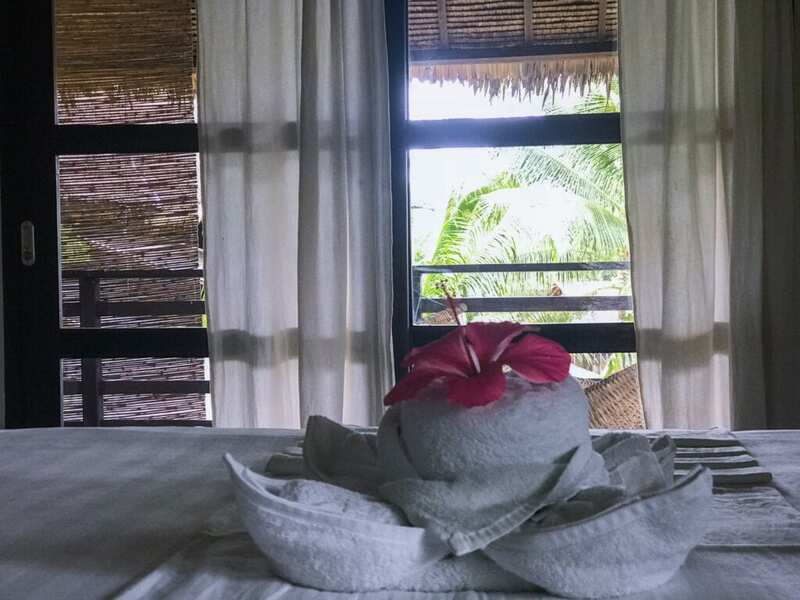 I stayed in Buddha’s Resort in Siargao. 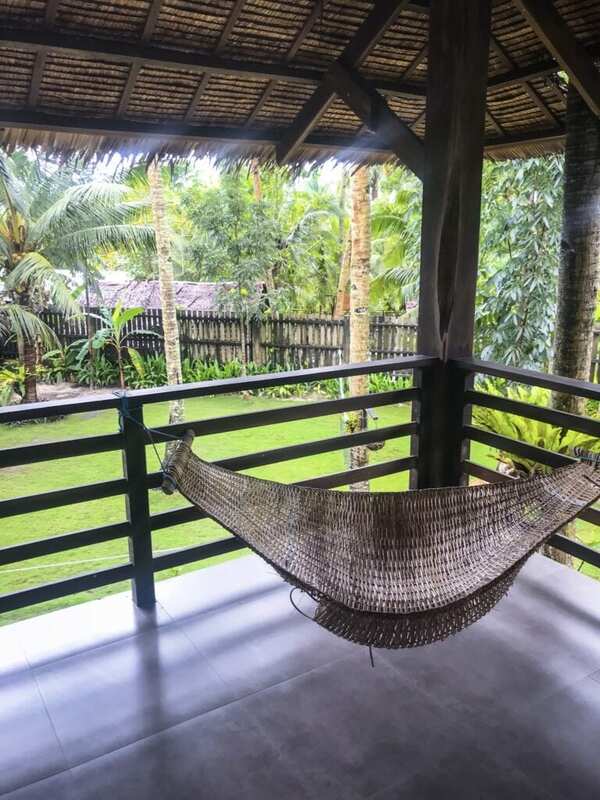 This amazing resort is on the quiet side of General Luna, the main tourist area of Siargao. The service, the suites, the friendly staff, and their menu are all world class and I highly recommend staying here. They also have daily yoga classes, offered in the morning and the afternoon! 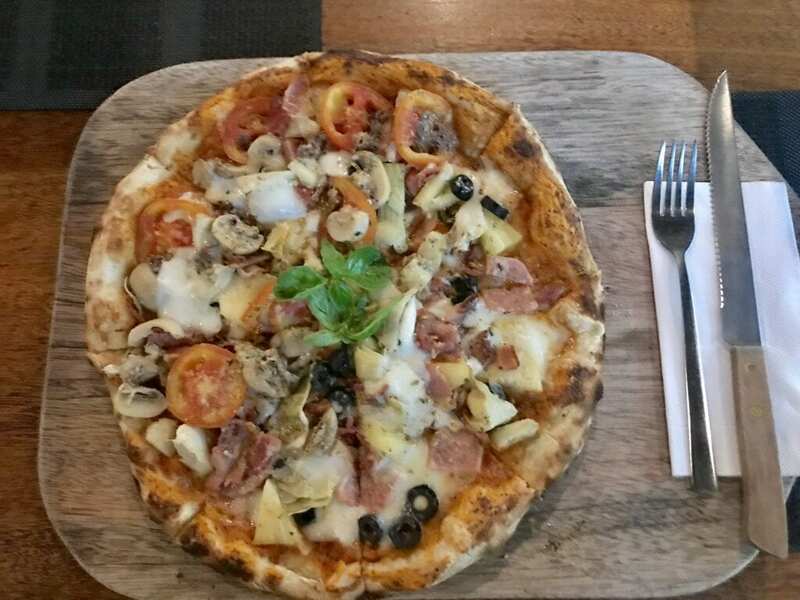 Kermit’s – I heard the hype about the woodfired pizza It’s the real deal. Note that this restaurant is usually full and needs reservations days in advance to get a table for dinner. 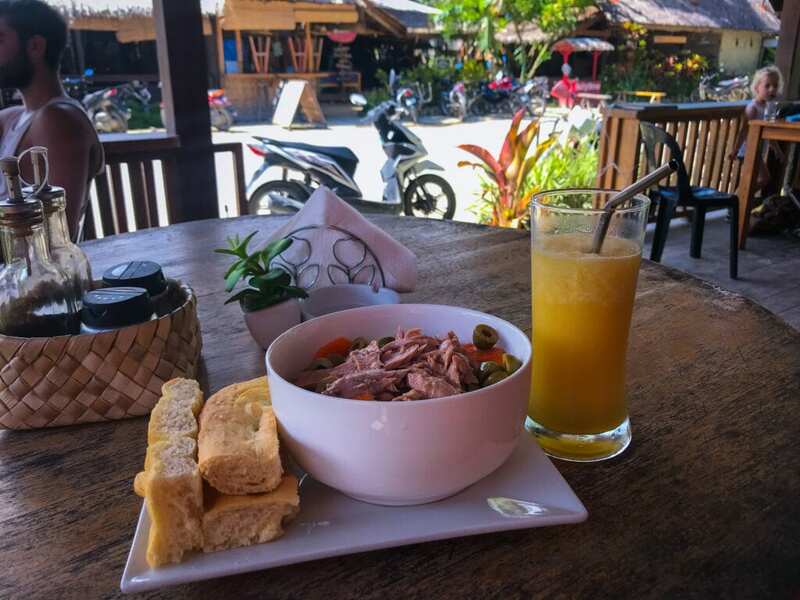 Buddha’s Resort – They have healthy options for breakfast and delicious selection of authentic Thai cuisine! Mama’s Grill – Great atmosphere and great barbeque selection! Gotta try the tuna – sooo good!! Only open for dinner. 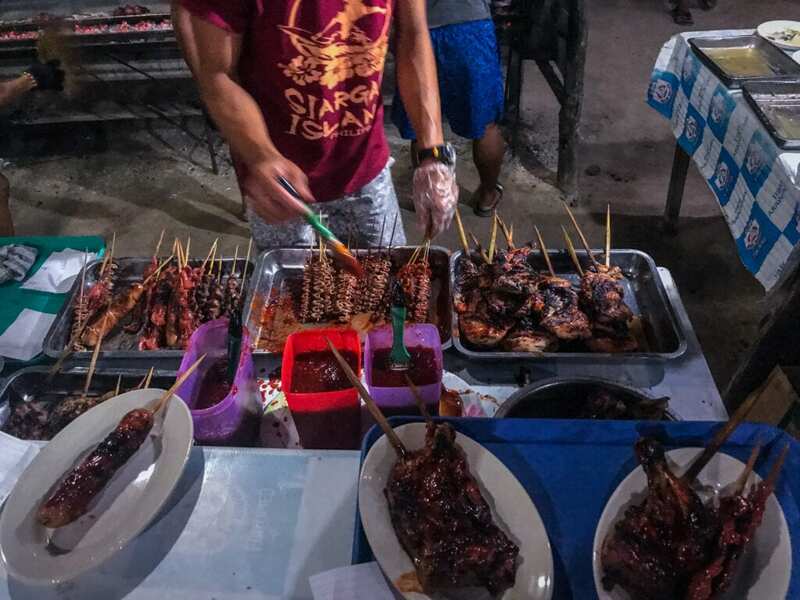 Cashey’s – Delicious home cooked traditional Filipino menu for cheap! Lunares Café – Authentic Italian pastries (the owner is Italian, so you know it’s good). Must try the focaccia with olives and tuna salad. ALSO: VERY FAST WIFI! Hello fellow trotters! My name is Mick Salas, Filipino-American travel blogger based in Chicago. I was born in the Philippines, grew up in Chicago, studied in San Diego, and worked for a French organization for six years. And now I’m traveling full-time! Hi Mick, I love this blog!! We miss you here! Definitely going to add this on our bucketlist. Your blog is helpful & with complete recommendations & tips! Ill share this among my friends. thanks for the info. must visit on Sept.
thanks francis! 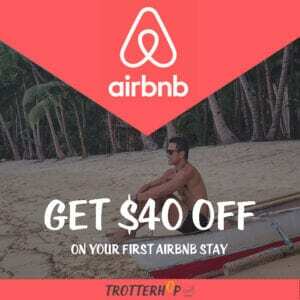 that’s a great time to go to Siargao!